The charity’s Annual General Meeting (AGM) will take place at our registered office at 7pm on 1 August 2018. All of our members are eligible to attend in person. Members may also join the meeting as a teleconference using Skype (slots permitting – see below). Voting can be carried out in person, via Skype or by proxy. Full details about the AGM, the agenda and background papers (including the annual report), can be downloaded by by logging into the members’ dashboard and clicking on the AGM button mid-way down the page. Alternatively, members can request copies from secretary@csfleak.info (you must include your membership number with your request). If you wish to attend the AGM in person, you may attend at the registered office (please contact us for details). If you wish to attend via Skype teleconference, then you must email secretary@csfleak.info no later than 7pm on 25 July 2018 in order to secure a place on the Skype call. Nine Skype slots are reserved for the existing trustees and slots for members are therefore limited to 15 callers (service status permitting); these will be allocated on a first-come-first-served basis. Details of how to dial into the meeting will be circulated to those who have booked a slot. You must have a Skype account and up-to-date Skype software in order to attend online; meeting these requirements will be the responsibility of the member and the AGM will not wait for members who have not joined by the given time. The Skype call will start no later than 6.55pm on the 1 August 2018 to ensure all members are dialled in. Any member not online by 7pm will be deemed not to have attended. The Association can take no responsibility for Members’ own technical problems. For members who are unable to attend in person or online, proxy voting is also available. This must be arranged in advance in accordance with the guidelines outlined in our Decision-Making Protocol, which is available to download from the members’ library. Members wishing to use a proxy vote must complete the official proxy vote form in full and return it to us within the prescribed timescales. The proxy form itself can be downloaded by clicking here, while copies of both the protocol and proxy form can be downloaded from the members’ library or are available on request. 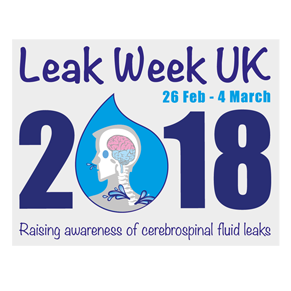 With a little under three weeks to go, we wanted to tell you all a little bit more about what we have planned for Leak Week UK 2018. While we don’t want to spoil the surprise and reveal everything in advance, look out for an active week on social media, brimming with facts, information and new resources. You’ll hear from a few new faces, and some old ones too! 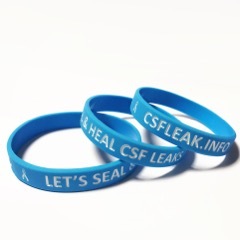 As we’re an open organisation run by CSF leak sufferers for CSF leak sufferers, we’ll be announcing new ways to get involved and participate in the work that we’re doing. 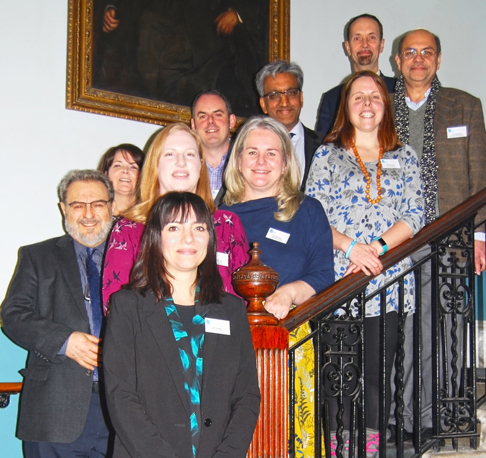 We’ll be providing an update on recent exciting progress made with our brand new Medical Advisory Committee. And much more. 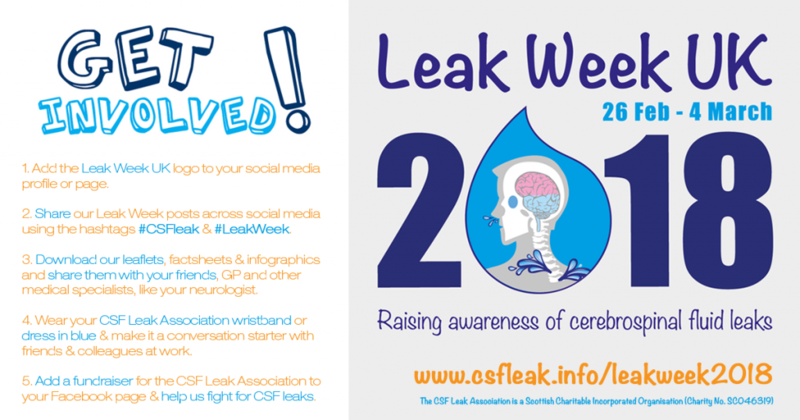 We’re really excited about this year’s Leak Week. 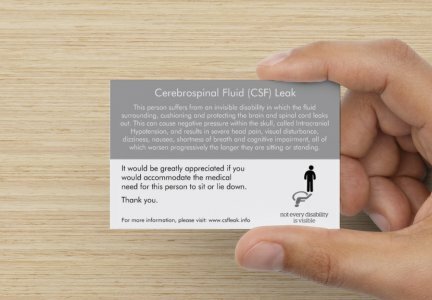 There’s going to be a lot going on from our side, but more than anything, we’d love to have you involved and helping raise awareness of cerebrospinal fluid leaks. We appreciate that not everyone has the time or ability to help out regularly, but every little really does help and, collaboratively, we can made a huge difference. Leak Week UK also coincides with global Rare Disease Day and, being a member of Rare Disease UK, we’ll also be linking in with a number of wider initiatives aimed at furthering awareness and care for all rare disease sufferers across the country. Click to download a full size copy for sharing. Spread the word. Raise awareness. If you’ve got a Facebook, Twitter or Instagram account, why not use the graphics below for your profile and banner images for the duration of Leak Week? It’s a great way to spread awareness and get the message across. Facebook shows you how to do that here. Click to download image. You can use it as a temporary profile picture in Facebook or Twitter. It’ll probably work with other social media platforms too. Click to download image. This one is ideal for using as a Facebook profile banner. 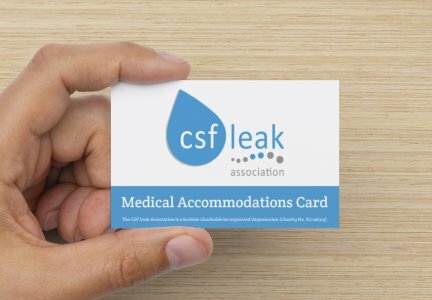 The CSF Leak Association’s Annual General Meeting (AGM) will be held on Tuesday 2nd May 2017 at our registered office. All of our members are welcome to attend, either in person of via Skype (slots are limited – advanced booking required). If you unable to attend, you may opt to vote on resolutions by proxy. Instructions are provided in the proxy vote form. You wish to raise any business at the AGM. Calling all Android Mobile Phone and Tablet owners! 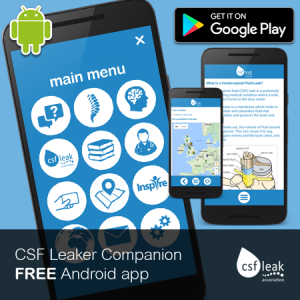 We are delighted to announce the release of our brand new Android app for CSF leakers. It’s absolutely free and available to download from the Google Play store. 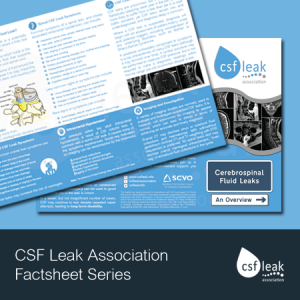 The app provides easy access to key information and resources about CSF leaks, all at the click of a button or tap on a screen! 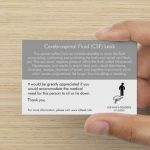 You can access information about cranial and spinal CSF leaks, and view a list of must-read medical journal articles, all off-line; ideal for use during an appointment with your doctor or when explaining things to friends and family. 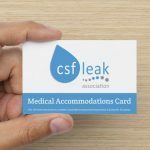 View our global map of CSF leakers and add/edit a pin for yourself, search for doctors with some CSF leak experience near you (aimed at EU residents), or bring up a copy of our medical accommodations cards whenever you need it. The app is brand new and is being updated regularly with new content, so please make sure that you select its ‘auto update content’ setting. If you have any ideas or suggestions for the app, please drop us a line. NB. If you already have a map pin on our Global CSF Leaker Map, please go to the pin via the mobile app, make a note of the number in the pop-up window (e.g. 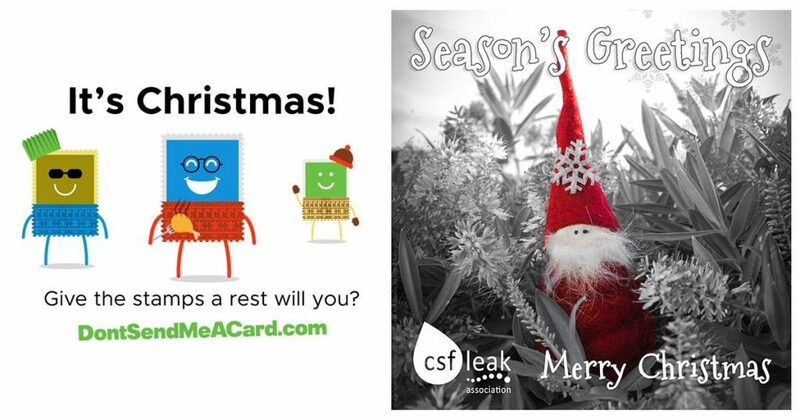 #250) and email us at webmaster@csfleak.info with your Android account email address; this will enable us to link your pin with your CSF Leak Companion App.